For years Tandem Air technology rocked the world of upright vacuums, and finally it's available for canister lovers. The Wonder Deluxe cleans bare floors and area rugs but is specifically designed for high performance carpet cleaning. The Tandem Air nozzle adds durability, performance and convenience features to Wonder that equal amazing cleaning results quickly and reliably. Wonder was designed with ergonomics in mind, so it's incredibly maneuverable and versatile, compact and lightweight. With sealed HEPA media filtration, self-sealing HEPA media bag and a long 28-foot cord, Wonder reaches where you need to clean and removes and captures dust and dirt like a champ. Above the floor cleaning is a cinch with a telescopic wand, long hose and tools like the deluxe dusting brush with natural bristles. Wonder also comes with the Floor It microfiber bare floor tool to clean and polish bare floors in one step, and we include the Pet Hair Beware, an amazing little self-cleaning fur remover hand tool. 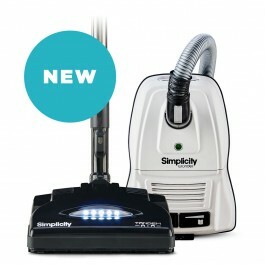 A tool adapter connects to any standard size vacuum tools, and a tool caddy keeps tools at-the-ready, plus adjustable suction control lets you dial down the power for more gentle cleaning. You'll wonder what you ever did before this vacuum.